All states have enacted motor vehicle laws to regulate careless driving or reckless driving. The wording of each state’s reckless driving law defines how drivers can lawfully drive upon the highways in that state. In North Carolina, reckless driving to endanger others is treated both as a crime and as traffic violation because it carries the potential for insurance points and DMV points. Charlotte criminal lawyer Bill Powers outlines how reckless driving in North Carolina is handled. When a person fails to adhere to the rules (e.g., goes faster than the posted speed limit), the traffic ticket is often called a "moving violation." It is important to note that NOT ALL TRAFFIC TICKETS IN NC ARE MOVING VIOLATIONS. In North Carolina, these acts of careless driving also are called a violation of the "rules of the road." Is Improper Equipment a Moving Violation in North Carolina? An Improper Equipment or "IE" in North Carolina is often referred to as a "non-moving violation" because it may not always carry points, insurance points, or motor vehicle points. The NC Traffic Laws have changed over the years, authorizing an Improper Equipment for certain speeding citations or tickets. In fact, being found "Responsible" of the Infraction Improper Equipment may show operation of a vehicle. 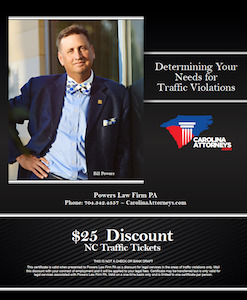 Numerous Traffic Infractions Exist in North Carolina - What Is a Non-Moving Violation? Infractions may or may not be "moving violations" in North Carolina. 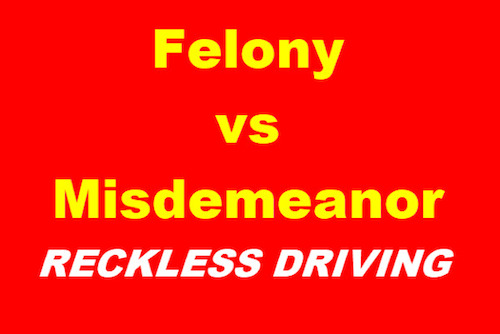 Infractions, while a violation of the law, are different than felony vs misdemeanor charges. Some traffic tickets are also misdemeanor criminal charges. Certain traffic violations may also serve as the predicate offense for certain felony charges in North Carolina. Failure to Notify Address Change under N.C.G.S §20-7.1. Over the last couple of decades, word has spread nationwide about how tough North Carolina traffic laws can be, in terms of triggering a license suspension. When Dan Aykroyd was pulled over in 1989 for speeding and taken before a judge to post bond for a future court date, the story made national news, since he was coming from the movie set of " Driving Miss Daisy" in Atlanta. When the rules are not followed, certain acts of careless driving can lead to a reckless driving in NC ticket being issued by a police officer, for a future court date. The reason for a reckless driving charge being a crime is that the rights or safety of others are put at jeopardy by a driver engaging in acts of reckless driving in North Carolina. Like many other jurisdictions, our state's reckless driving law is a misdemeanor. Careless and reckless violations (under NC laws) are normally categorized as Class 2 misdemeanors. A reckless driving charge can also be a predicate offense that will support a felony indictment, under N.C.G.S.A. § 14-32 assault with deadly weapon with intent to kill or inflicting serious injury, when severe bodily injury or death is caused by reckless driving in NC. Don’t wait to hire a criminal defense lawyer until just before your court date for your traffic offense. Repealed by Session Laws 1983, c. 435, s. 23. Reckless driving as defined in subsections (a) and (b) is a Class 2 misdemeanor. What Types of Driving Conduct Supports a Reckless Driving Charge in NC? Under subsection (a), by operating any vehicle carelessly and heedlessly, and in willful or wanton disregard of the rights or safety of others, can be found guilty of reckless driving. Subsection (b), covers the type of reckless driving in NC often charged, using a police officer's discretion after he or she sees dangerous driving. This is called driving without due caution and circumspection and at a speed or in a manner to endanger or be likely to endanger any person or property. Under North Carolina laws, if you are speeding at a high rate of speed (well over the posted speed limit) you may be charged by law enforcement with the moving violation of reckless driving NC. Plus, merely driving at a speed over 80 m.p.h. can be charged as reckless driving in NC. The final type of reckless driving North Carolina pertains to commercial motor vehicles carrying oversize or overweight loads. A driver who operates such a vehicle carelessly and heedlessly, in willful or wanton disregard of the rights or safety of others, or without due caution and circumspection and at a speed or in a manner to endanger or be likely to endanger any person or property commits the offense of a North Carolina reckless driving class 2 misdemeanor. Significantly, because these descriptions of driving conduct leading to a reckless driving ticket can overlap, if a driver violates the laws as set forth under both Part A and B, above, only one NC reckless driving offense is thereby committed, not two separate offenses. Under North Carolina law, high speed alone on a highway or vehicular area can support a reckless driving charge. State v. Coffey, 189 N.C. 382 (2008). Plus, depending on the driver's driving record for prior serious driving offenses (traffic violations), the accused reckless driver can be subjected to a fine of up to $1000, plus can be subjected to community punishment, intermediate punishment or active jail time punishment for reckless driving North Carolina, under N.C.G.S.A. § 15A-1340.23. In addition, reckless driving NC causes suspension of a person’s motor vehicle driving privileges in North Carolina. The criminal defense attorneys from Powers Law Firm PA are here to help you avoid the consequences of being charged with reckless driving in NC. Take the time to get your FREE lawyer consultation, to see what can be done to protect you against suffering a license suspension. Call us at 704-342-HELP. 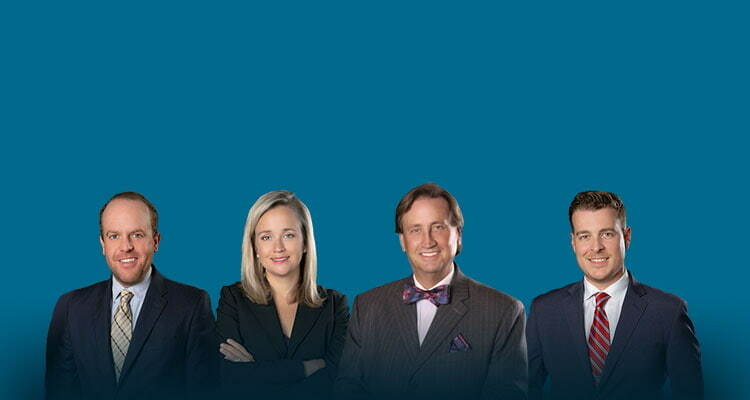 Here are our two Charlotte Criminal Lawyer office locations.